“Snakes. Why did it have to be snakes?” Paramount has announced the high-def Blu-ray release of Indiana Jones: The Complete Adventures will be September 18, 2012. Paramount says they have “meticulously” restored the Raiders of the Lost Ark for this release, by scanning the original film in 4k and examining frame-by-frame. The remastering of ‘Raiders’ was supervised by director Steven Spielberg himself, and the soundtrack restored by original sound designer Ben Burtt. 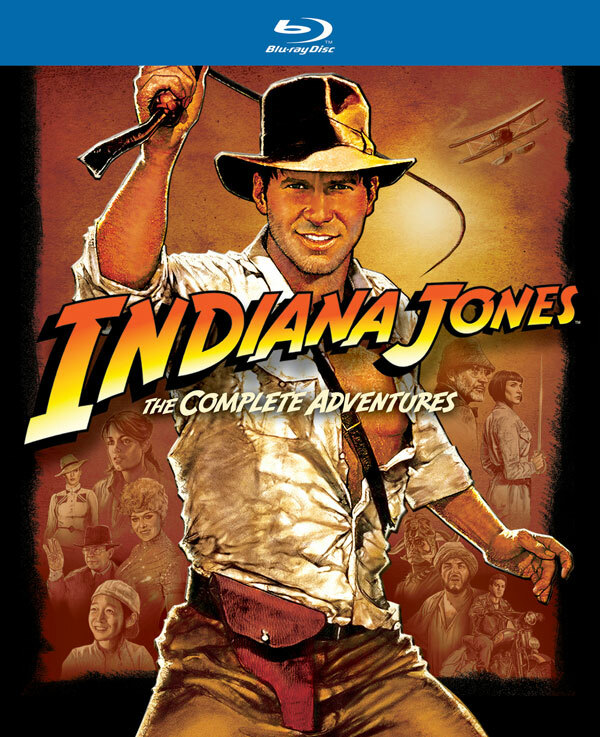 ‘The Complete Adventures’ will present all four Indiana Jones films (Raiders of the Lost Ark, Indiana Jones and the Temple of Doom, Indiana Jones and the Last Crusade and Indiana Jones and the Kingdom of the Crystal Skull), in 1080p video resolution with English 5.1 DTS-HD Master Audio. The boxed set will also contain documentaries, interviews, featurettes and new bonus features. What do we have to say about the Blu-ray box art? Ehh. Pretty weak. Paramount should go back to the drawing board on this one.